2. Fill up expense’s information on top half of the screen. 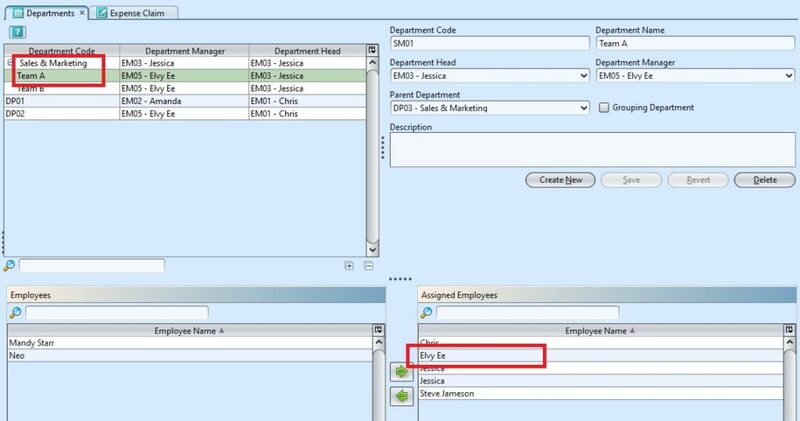 b) Only Department Manager is allow to view the rest of the employees. Otherwise, the employee only allow to create, edit and view his/her own expense claim’s details. c) Only Admin / HR Manager is allow to create expense claim for everyone. Otherwise, the employee only able to create, edit and view his/her own expense claim’s details. *Note: if user need to add new location / currency for Expense Claims, please contact Samooha admin. 6. Click on “Mileage Allowance” tab if the claim is for fuel mileage expense, and fill up the information. 9. Click on the “Revert” button to undo changes. 2. Click on “Yes” button on the pop-up window to confirm claim submission. Note: Alternatively, user is able to submit the expense for approval from “Expense Claim List”. 1. 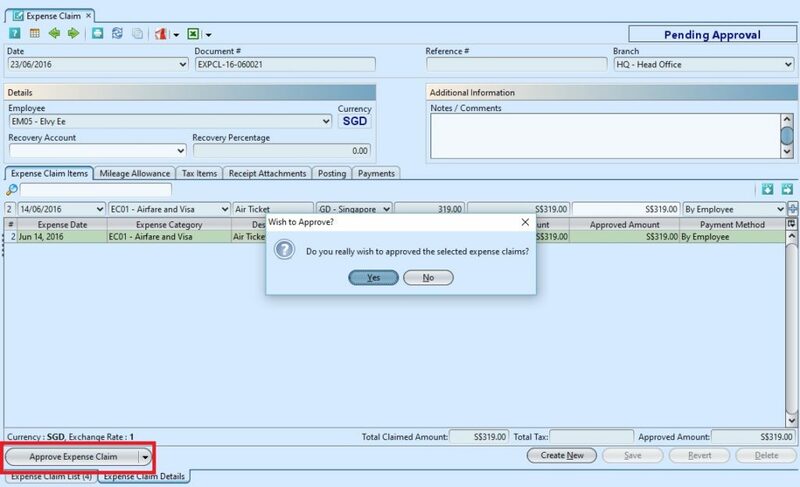 Select the expense claim user wants to submit for approval, right click on the mouse and choose “Submit for Approval”. Note: Employee is not allow to approved the expense claim by him/her self, need the approval by Department / HR / Admin / Finance Manager. Note: Alternatively, user is able to reopen the expense claim from “Expense Claim List”. 1. Select the expense claim user wants to modify, right click on the mouse and choose “Re-Open Expense Claim”. 4. Click on the “Revert” button to undo changes. 1. 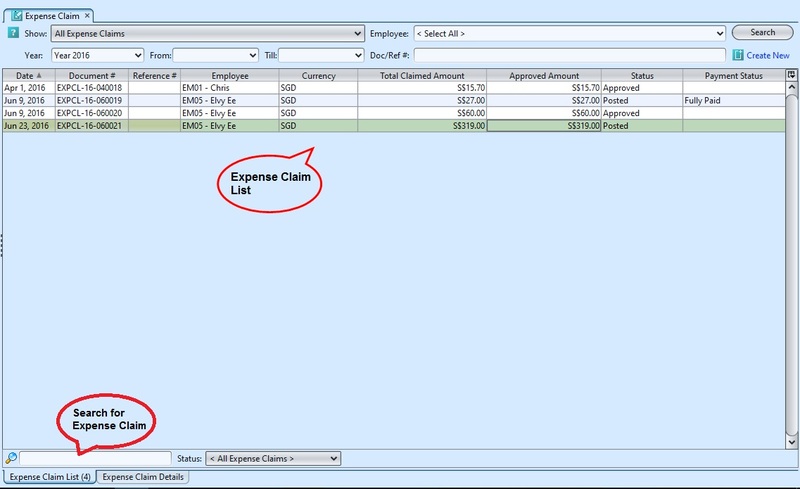 Select the expense claim user wants to delete in the Expense Claim list, right click on the mouse and choose “Delete Expense Claim”. 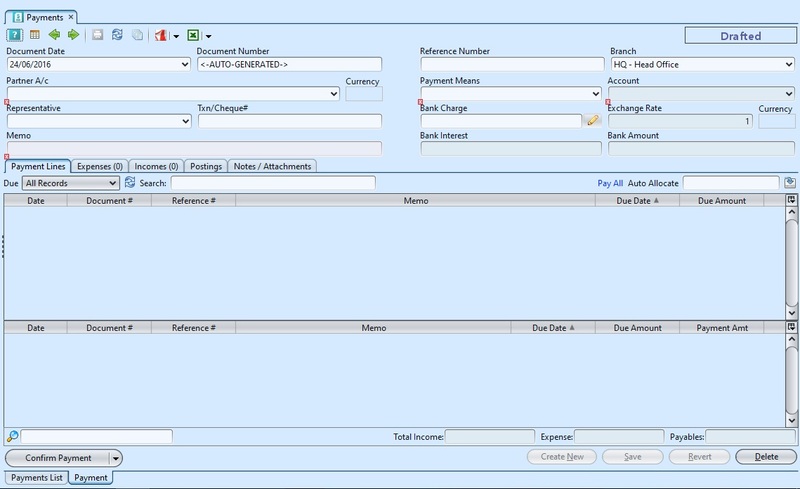 Alternatively, user is able to delete the expense claim in Expense Claim Details. 1. 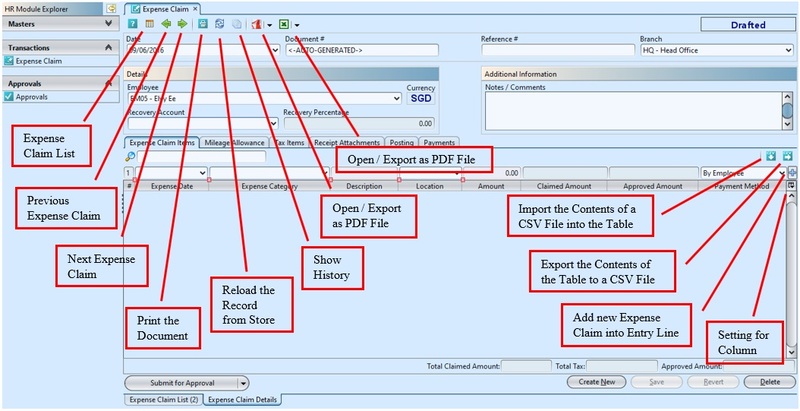 Select the expense claim user wants to delete and double click on it, it will open the expense claim details. 1. Employee is able to view the data under “Posting” after the HR / Admin / Finance Manager posted the expense claim. 1. 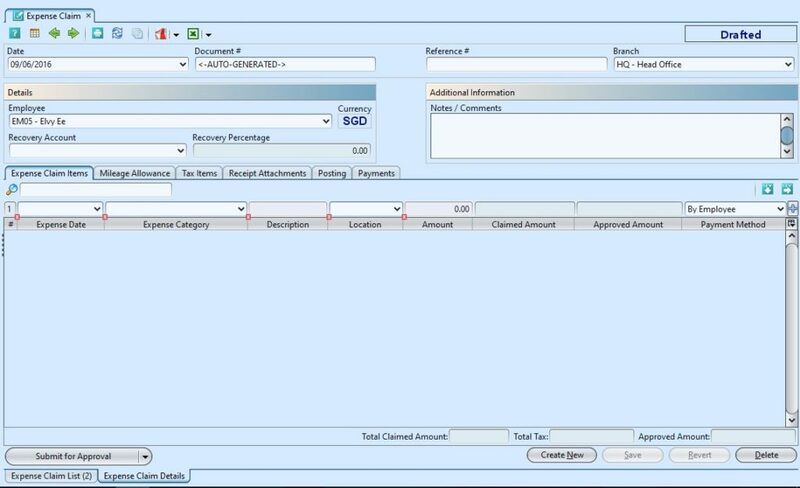 User/Employee is able to view the payment record under “Payment” after the payment is approved and made. The process refers to the payment procedure after the expense claim have been posted by HR / Admin / Finance Manager. 7. Click on “Post Payment” tab to post the payment and click on “Yes” button on the pop-up window to confirm the posting.